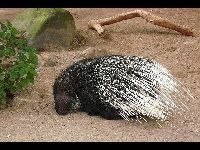 Porcupines do not shoot their quills. 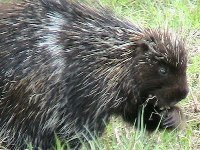 Porcupines will eat shed deer antlers. Porcupines have about 30,000 quills. Baby porcupines are born with soft quills, which is good for their mothers! Within a few hours after birth a baby porcupines quills harden. Porcupines climb trees to feed on nuts, bark and berries. 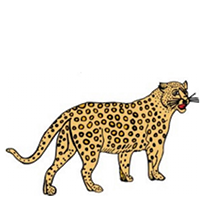 The stiff quills under a porcupines tail help them grip trees while climbing. 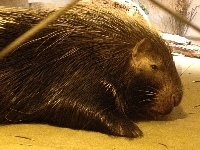 Porcupines have softer hairs that cover their stiff quills.